John Miller is a fourth-generation beekeeper who discovered a love for bees at the age of six. Today, he manages Miller Honey Farms, a thriving operation that produces some of North Dakota’s finest honey. But the bees that call Miller Honey Farms home have more than one job to do. For a few months out of the year, Miller’s bees travel to California and Washington to pollinate almond and apple orchards. Similarly, beekeepers have understood for years that without a farmer to husband the crops, honey bees would starve. It all sounds charming and romantic, harkening back to the days when our ancestors lived exclusively off the land. But today, things are a little different – both for the average American and the humble honey bee. 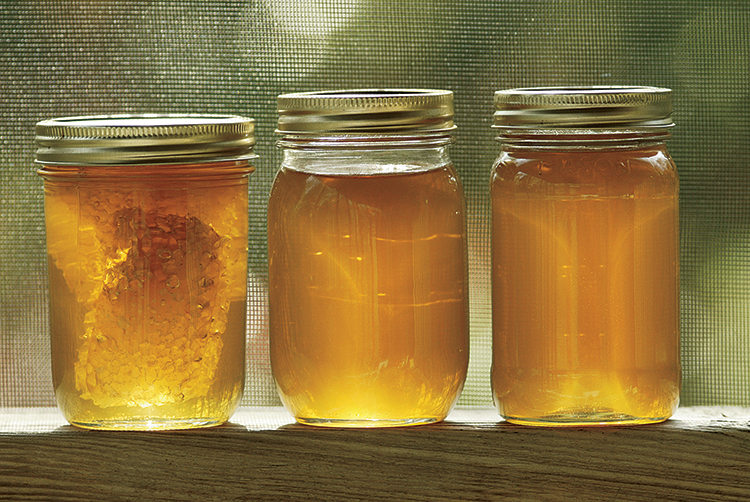 Between the increasing acres of row crops and loss of conservation lands, North Dakota has seen a sharp increase in hive mortality and decrease in per-hive honey production. And it’s impacting more than commercial beekeepers. Walking into a grocery store, consumers are immediately confronted with rows upon rows of food. They can fill your cart in minutes. The honey bee doesn’t share this luxury. “Honey bees have an intimate and personal relationship with the supply of food in their neighborhood,” Miller says. While a field of corn may fill the bellies of hungry humans, it offers no nutrition to a honey bee. Instead of stopping to fill her grocery cart, so to speak, she’s forced to move on – and she’ll continue searching until she finds the nutrients she needs to thrive. Because honey bees are critical to crop pollination, their decline impacts agriculture in the western territories and the rest of the world. Fortunately, beekeepers like Miller and Zac Browning, owner of Browning’s Honey, are actively involved in turning the tide with groups like the Bee Integrated Project (BIP). The group brings together beekeepers and landowners to support bee health with better science and management practices. One of the most important factors, Browning says, is habitat. Partnering beekeepers with farmers who are invested in improving hive conditions through better agricultural practices gives the honey bee a good shot at making a comeback. Also involved in the Bee Integrated Project, Miller says the real champion is the farmer who agrees to take a parcel of his land out of normal production to further hive health research. This age-old camaraderie between beekeepers and farmers gives the western honey bee a fighting chance to not only survive, but to thrive for years to come. Locally grown North Dakota crops emerge with a national interest.